A gorgeous hand-sewn dark blue and red satin cockade with a framed 1860s-style Florida seal in the center. Attached to the clothing or hat with a pin on the back. Approximately 3" (7.5 cm) across rosette. Streamers are approximately 3" (7.5 cm) long. Pin on back is silver-plated and 1" (2.5 cm) wide. 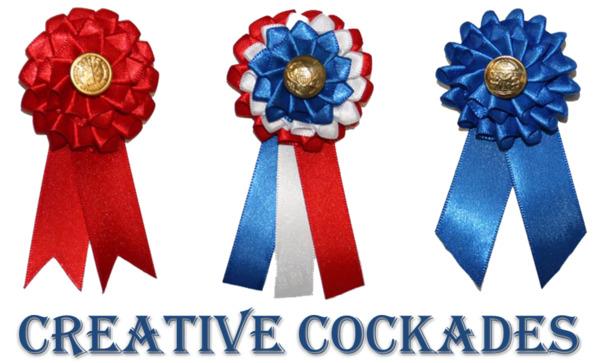 "The ambassador from South Carolina had evidently made an impression on his audience of yesterday and somebody had been busy last night, for in every direction could be seen Palmetto cockades, fastened with a blue ribbon; there were hundreds of them. When at last the hall of representatives was opened and Father and I took seats, Judge Gwynn came in and pinned a cockade on Father and one on me. Oh, I was so proud." 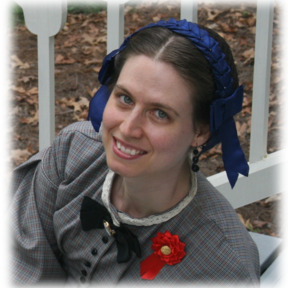 ~January 2, 1861, diary entry by Susan Bradford of Pine Hill Plantation, Florida, Speaking of the Florida secession convention. Based on an original Florida cockade at the South Carolina Relic Room. 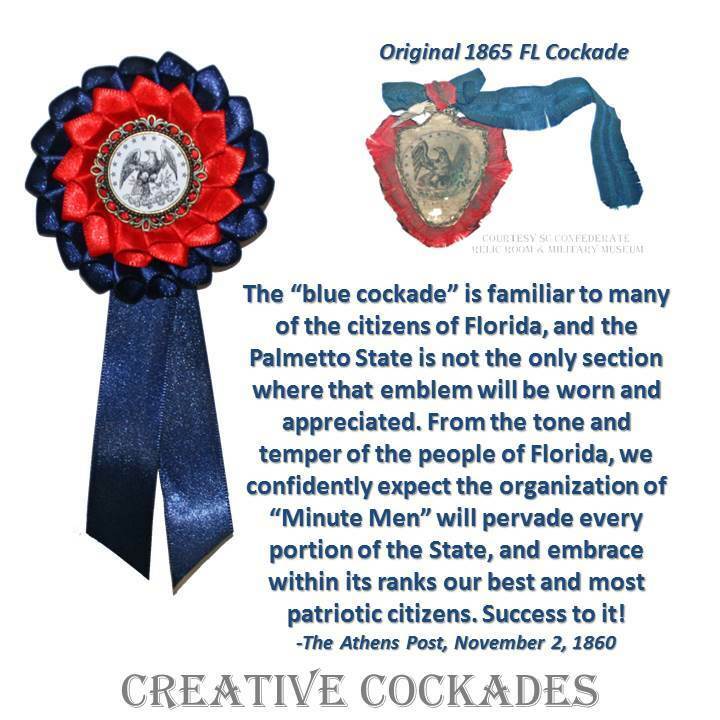 "Badge representing the state of Florida used at the last Great Bazaar at the Old State House on January 16, 1865. Women helped to organize the event to raise money for the Columbia Wayside Hospital."